Mr. Samih Toukan founded and became the CEO of Maktoob.com in 2000, the world’s first Arabic email and largest Arab Online community with over 16 million users. In 2009, Maktoob was acquired by Yahoo! which was the largest technology acquisition deal in the history of the region. 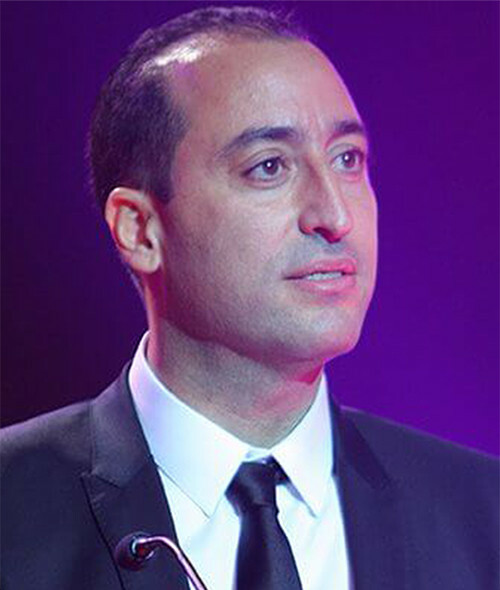 Following the acquisition, Samih became the Chairman of Jabbar Internet Group (Jabbar.com), a group that founded several leading Internet companies including souq.com, the Arab world’s largest ecommerce site. Jabbar today is one of the leading investors in Internet and technology companies in the region. Samih holds a Bachelor’s degree in Electrical Engineering from the University of London and a Masters in Management and International Business from HEC University in France. He has several years of experience with Andersen Consulting in technology consulting, systems development and Internet services. He was the co-founder of both Business Optimization Consultants in 1994 and of Maktoob in 2000. On September 9th, 2009, Samih received Al Hussein Medal for Distinguished Performance of the First Order from His Majesty King Abdullah II in recognition of his contribution to the IT and Telecommunications sector in Jordan and the region. In 2011 and in 2012, Samih was named by ArabianBusiness magazine as one of the most 500 influential Arabs in the world. Between 2003 and 2005, he was appointed by the Jordanian government as one of the members of the board of the Social Security Investment Fund (a fund of several billion Dollars). Today, Samih Toukan is an active investor, has invested in many startups in the region and around the world and acts as a mentor to many entrepreneurs. Samih is also a founding investor in Oasis500, Jordan’s leading startup incubator. Furthermore, he is the Chairman of the board of Under My Olive Tree, a non-profit organization focusing on education support for the unprivileged, as well as an investor and a member of the board of Ruwwad Micro-Venture Fund, which provides grants for entrepreneurs in marginalized communities in Jordan.